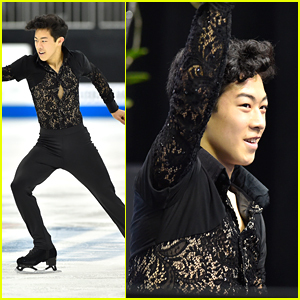 Max Aaron Photos, News, and Videos | Just Jared Jr.
Get used to seeing Nathan Chen‘s name everywhere. The 17-year-old figure skater just shattered records everywhere last night (January 20) at the 2017 U.S. Figure Skating Championships — including the high score for the short dance at nationals. He scored 106.39, demolishing Jeremy Abbott‘s score of 99.86 back in 2014. Following Nathan on the leaderboard were Ross Miner, Just JaredVincent Zhou, Jason Brown (the 2016 champ), and Max Aaron. 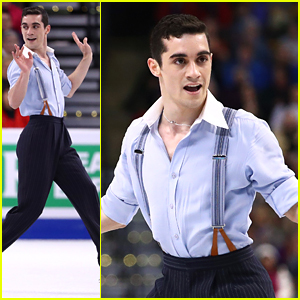 Javier Fernandez is still the Men’s champ! The 24-year-old Spanish figure skater defended his title at the 2016 World Figure Skating Championships held at TD Garden on Friday night (April 1) in Boston, Mass., beating out Japan’s Yuzuru Hanyu and China’s Boyang Jin. Russia’s Mikhail Kolyada was in 4th, Canada’s Patrick Chan in 5th, with USA’s Adam Rippon and Max Aaron in 6th and 8th, respectively. Yuzuru Hanyu heads into a tail spin in his routine for the Men’s Short Program during the 2016 Worlds Figure Skating Championships at TD Arena on Wednesday night (March 30) in Boston, Mass. 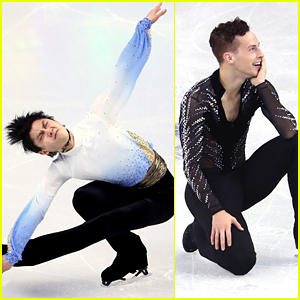 The 21-year-old Japanese figure skater took the top spot during the Short Program, besting Spain’s Javier Fernandez, Canada’s Patrick Chan and Team USA’s Adam Rippon and Max Aaron, who sit in 7th and 8th places, respectively. “I feel like because I lost last year in this competition, I have to have revenge,” Yuzuru told press ahead of the competition. The Men’s Free Program will air Friday, April 1st @ 6:45PM. Check your local listings for the channel. Adam Rippon reacts to his scores after the Mens’ Free Skate during the the 2016 Prudential U.S. Figure Skating Championships on Sunday (January 24) at Xcel Energy Center in St Paul, Minn. The 26-year-old athlete bested 2013 National Champion Max Aaron for the title, with 270.75 points. Adam was also the only top skater to not land a quad, where as Max and bronze medalist Nathan Chen, had many. Team USA celebrates with Gracie Gold after the ladies free skate during the ISU World Team Trophy held at Yoyogi National Gymnasium late last week in Tokyo, Japan. Gracie, 19, pushed Team USA’s lead over Russia and Japan securing the title once again. Team USA won the title in 2009 and 2013. Evan and partner Madison Chock headed to Hawaii after the competition. “don’t worry about us,” Evan captioned with a cute Instagram from the tropical islands. Ashley Wagner, Jason Brown, Max Aaron and pairs skaters Alexa Scimeca and Chris Knierim are also picture below.